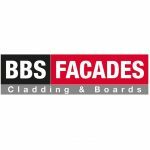 BBS Facades is one of the UK’s main distributors of high quality, external cladding products, building boards, fire protection boards, dry linings and cement bonded particle boards plus all the associated fixings, framing systems and component accessories. With offices in the South West and South East of the country, BBS Facades supply the whole of Southern England and Wales. Established in 2009; BBS Facades have grown steadily into a dependable, skilled supplier and fabricator within the market, offering competitive pricing and a nationwide delivery service from stock. BBS Facades pride themselves on their excellent service where representatives are available to provide on and off site assistance. Our representatives offer advice on the best product for the job, ensuring all needs and budgets are met and will see each project through to completion. BBS Facades offer all of our customers a fast and efficient professional service from small private contracts to large scale new build and refurbishment projects. We can offer take-offs and estimates from CAD drawings or provide a square metre rate. We can also help with the technical aspects such as site fitting, cutting, handling, shaping and storing. Our customers trust that BBS will look out for their best interests and ensure all materials are supplied and cut to their exact specification. BBS Facades offer the latest in cutting and drilling technology using the Panhans 4.2m laser aided, computerised beam saw. This allows BBS Facades to offer a cut to size service for building board and decorative cladding portfolios, eliminating site hassle, labour, wastage and damage. Let BBS Facades help with your project. Click here to send us an email.